The two burly men I live with were both down with the flu last weekend when I went to remove a large sign post from a home that had sold. I pushed the sign post and pulled and pushed and wiggled and tried with all my might to get that thing out of the ground, but alas... It wouldn't budge. 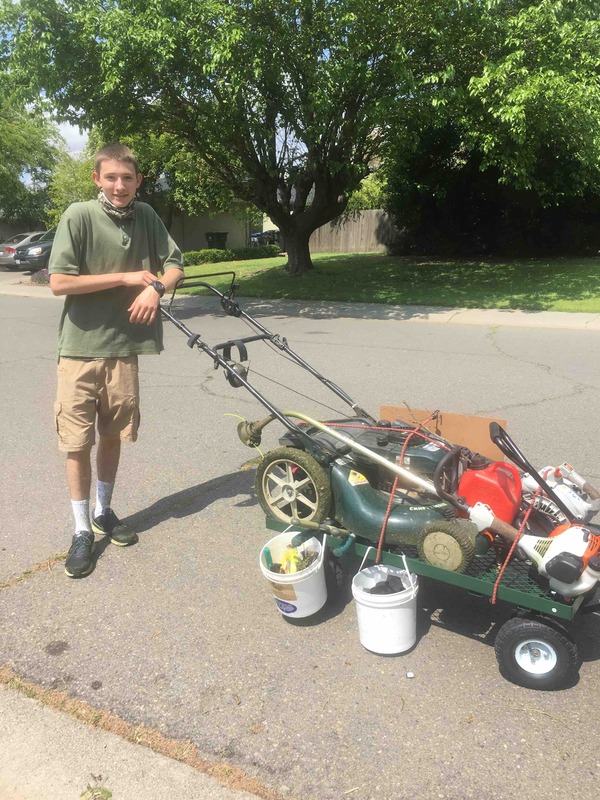 I saw a young man walking down the street with a cart holding his lawn maintenance equipment. I asked him to help me which he did, very kindly, very sweetly and very patiently. It was truly a gift. Turns out the young man is Tyler Cinder. He has a lawn mowing service in east Davis and if you know anyone who can use him, please have them call 530-219-8950 or email DavisLawnDetailing@gmail.com to get in touch with him. It struck me as a very Davis moment and Tyler is a very Davis kind of guy! Thanks Tyler!